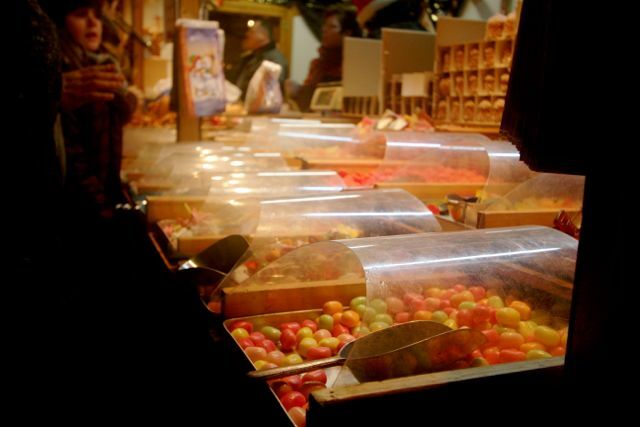 Thanks to our friend Gesine, we visited a very unique Weihnachtsmarkt today. 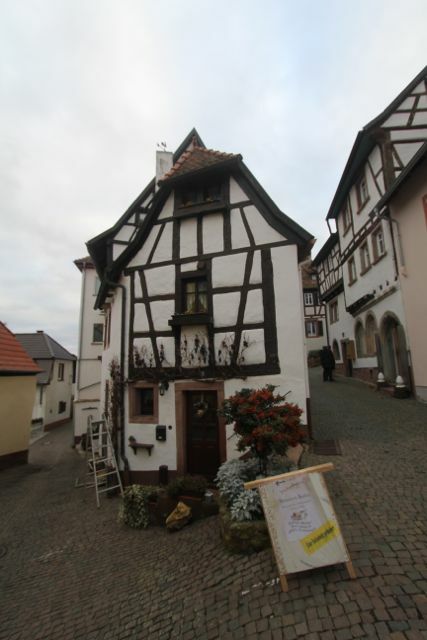 Almost every village, town, and city has their own Wiehnachtsmarkt (or Christmas Market). Some cities have several, and they are open through the day and into the evening from the end of November until Christmas. 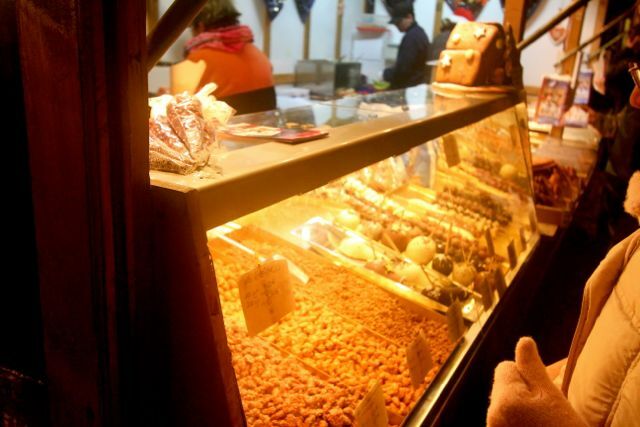 Most have vendors selling crafts, foods, candy, etc in Christmas-themed little buildings. 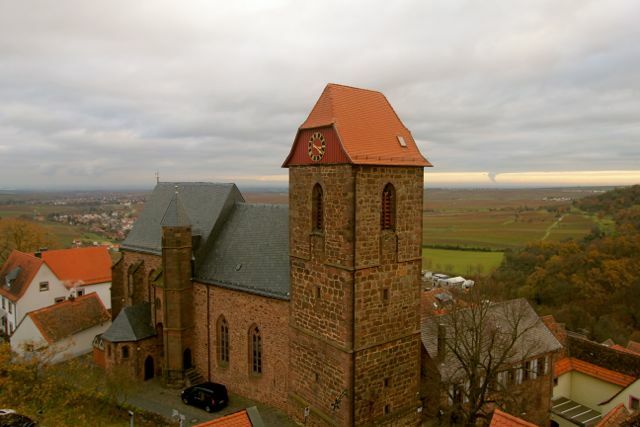 What is unique about where we went today was that the village of Neuleiningen is basically a very small village built around the ruins of a 13th Century Castle (um, yeah, that’s almost 900 years old) – built 1238-1241. 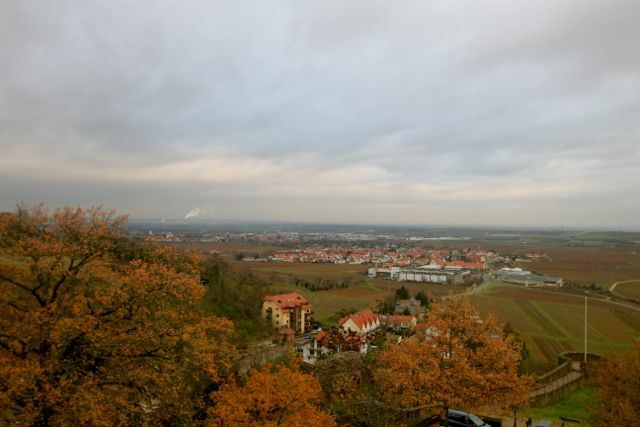 The castle was destroyed in 1690 by the French as this region of Germany (the Palatinate) was fighting for its independence from France. 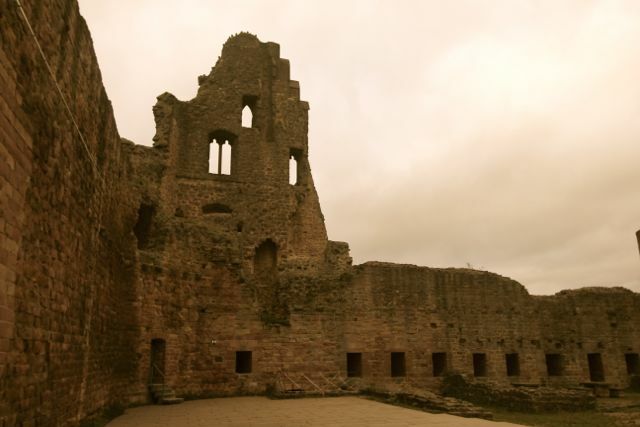 The castle still lies in ruin today. 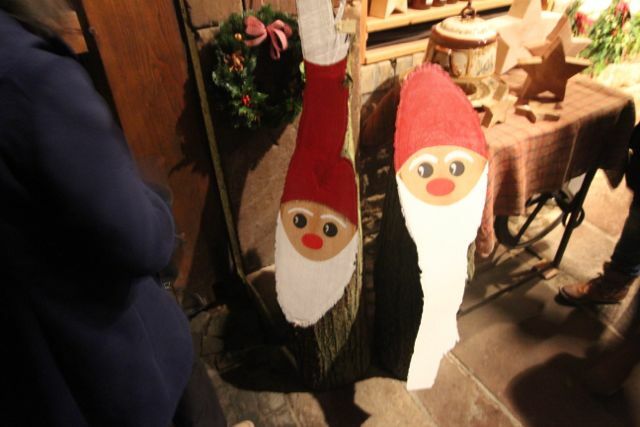 What we like about this Christmas Market is that instead of being very “commercialized” in their setup, the homes in the village and the castle itself have been turned into Christmas booths selling these items. If it weren’t for all of the cell phones and cameras (and electric lights for that matter), you really do get a sense of walking around in the Middle Ages looking at Christmas items. VERY COOL! 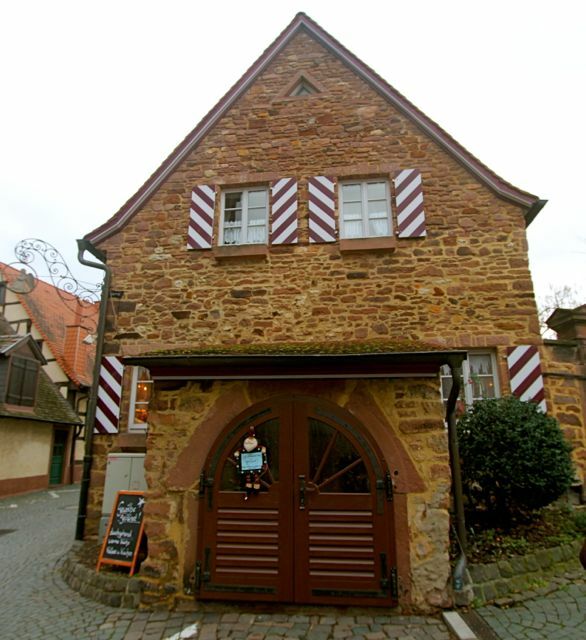 I absolutely LOVE the German timber houses!! Love the angles of the building and the windows. It is kinda like how my ginger bread houses always turned out as a kid. Your very own Mistletoe for purchase. 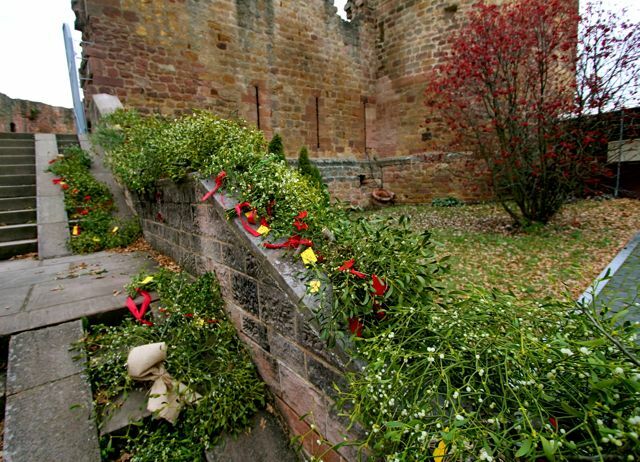 Bouquets of Mistletoe were for sale and laid out on the railing going up to the castle ruins. 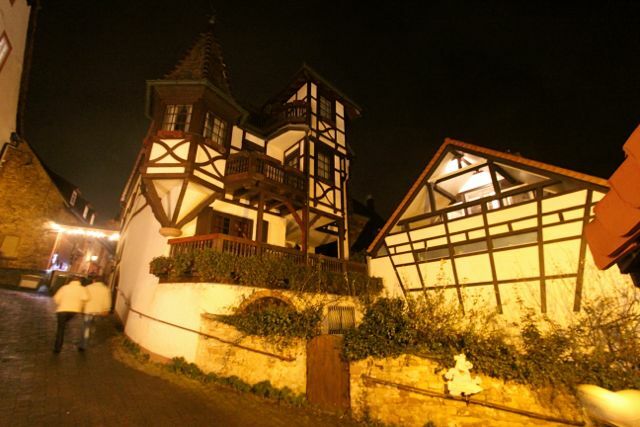 This castle was built sometime in the 13th Century on a hillside overlooking the Rhine River Valley. Where we stopped for coffee and cake, and waited until it got dark outside to really see the Christmas decorations better. The door is maybe 5 feet tall, so ducking to get in was in order! And, you just don’t walk into this restaurant, you walk down into it. I can only imagine what this must have been when the castle was built? 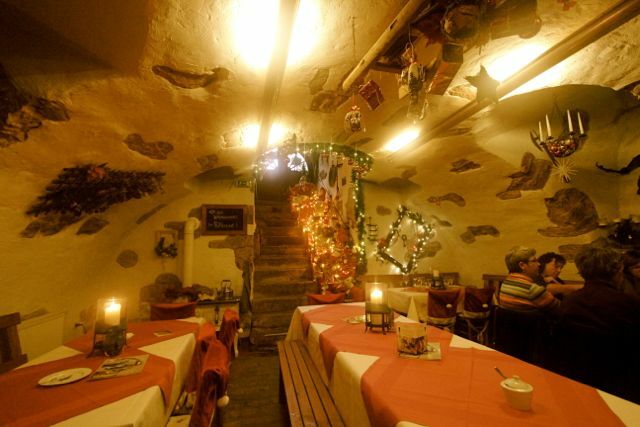 I have been inside a similar restaurant in Copenhagen, Denmark that use to be the dungeon of the castle? 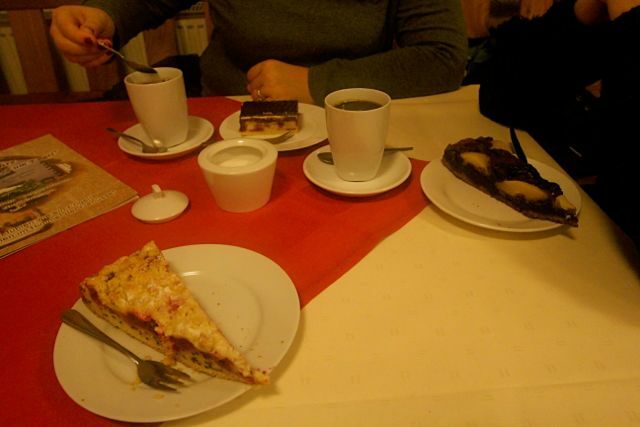 On our menu for the afternoon was cake & coffee. Mine was a cherry cake in the foreground. Amanda had a chocolate cream cake in the background, and Gesine on the right had a chocolate pear cake. In the restaurant a couple of hours (in Germany, we don’t rush through our meals), and when we left, it was dark out. No street lights. 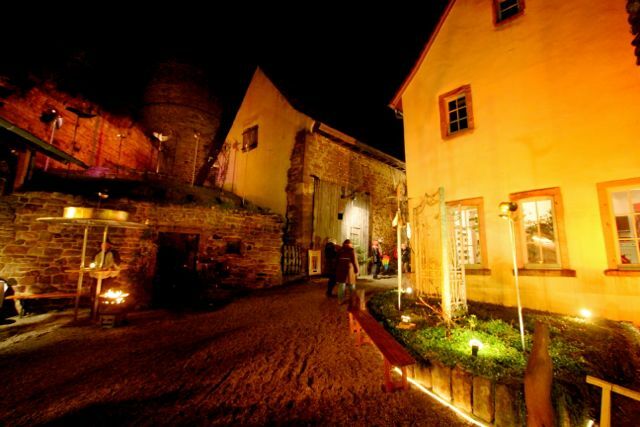 Some of the buildings were lit up for the Christmas Market or lit up with decorations. My camera lens started to fog a little going in and out of the display stands. But, it did add an unique effect to the lights with this glow around them. 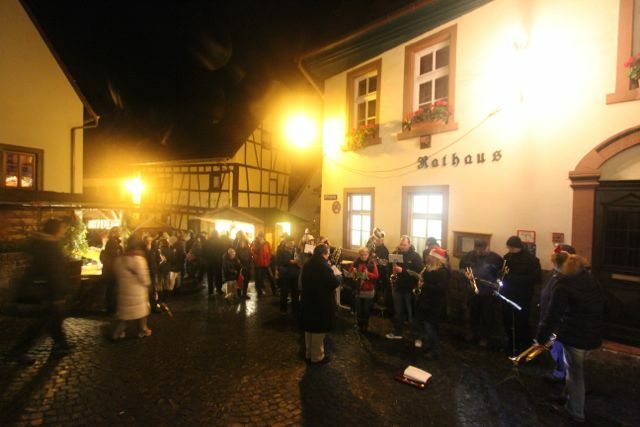 In the middle of the village at the Rathaus (Town Hall), this band was playing Christmas carols. 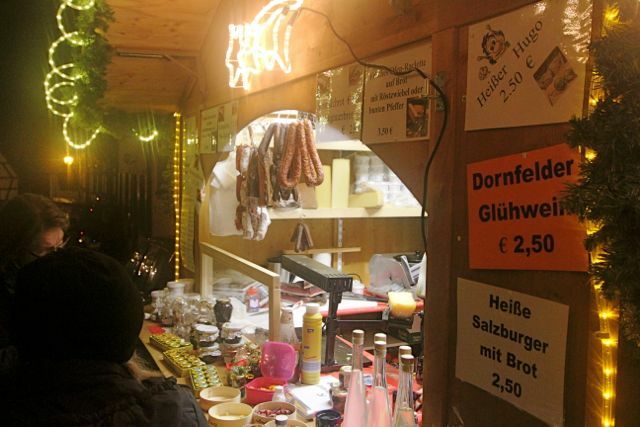 Nothing says Germany like sausages and brats!! 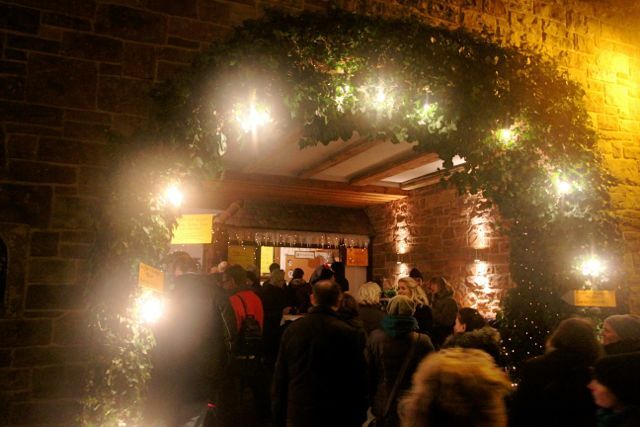 A traditional Weihnachtsmarkt drink is Gluhwein, which is a heated wine that has been “spiced” with different flavors or liquors. The steam seen in the below picture is because these wine drinks are served. 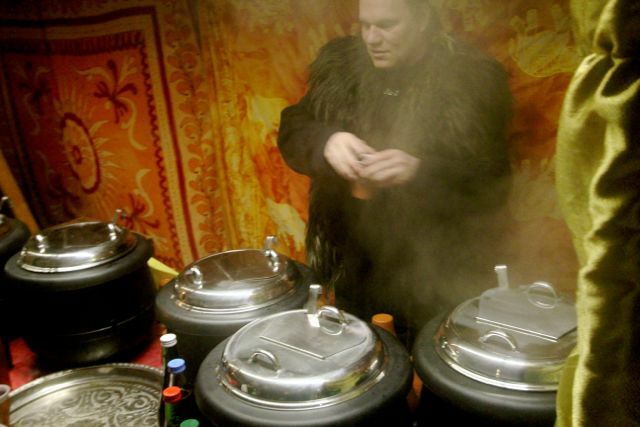 Also, this dude serving the drinks….I LOVE his coat! !